Investing in the Arctic isn’t risky. It’s just not necessarily very attractive if you need to return large profits. Speak with groups seeking money to get projects in the Arctic off the ground, and you get the impression that there is none to be had. Attend seminars intended to explain how such projects can obtain funding, and the opposite seems to true: There is an absence of potential borrowers. One official attending a gathering in Copenhagen on Thursday to hear two public investment banks explain their lending policies summed up the frustration his organization faces: “Where are all the firms?” he asked after observing a list of participants that was heavy on lawyers, diplomats and other public officials. The two lenders, the European Investment Bank, an EU institution, and the Nordic Investment Bank, are already active in the region, but they say they have the capacity to do more, particularly in areas like infrastructure and telecoms, where private investors are have a harder time turning a profit. Despite its name, about 10 percent of EIB spending is done outside the bloc. 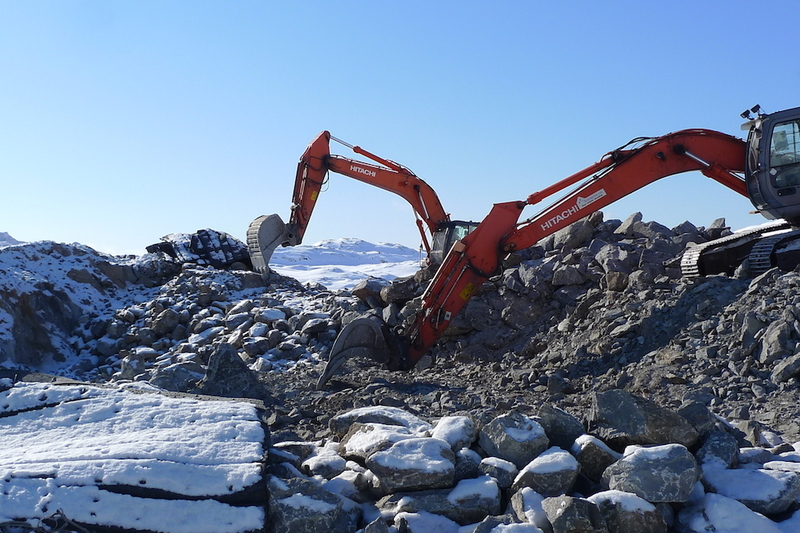 Its investments in the Arctic amount to about €200 million (about $242 million) annually. Like any good public lender, the EIB, according to Hart, is mostly looking to get this money back, not turn a profit on it. Even so, the EIB does not limit itself to break-even projects. In February, for example, it approved a €52.5 million loan to Northvolt, a battery-maker seeking to build a plant in Skellefteå, in northern Sweden. Another area where it could see itself doing some good is bio-economy, particularly if Arctic operations can tap into some of the progress already being made in the Nordics. In recent years, the Arctic has caught the eye of private investors. Such money is likely to have a positive effect, but their interest is slow in coming. “Rather than reaping first-mover benefits, they want to avoid first-mover risk,” says Stefan Friðriksson, of the Nordic Investment Bank, which, in 2015, set aside €500 million to invest in the region. The NIB makes this money available to projects that support the goals of its members’ Arctic policies, and is heavily focused on things like energy and transport, as well as small and medium-sized enterprises that might otherwise have trouble obtaining funding. Arctic shipping is an area in which Friðriksson expects the NIB could play a big role. If traffic volumes increase, the bank’s money, he says, will be well spent developing ports like Kirkenes, Norway, and Finnafjörður, Iceland. But, he notes, creating an Arctic maritime corridor may also require investments in non-Arctic ports, such as Rotterdam, where much of the cargo sailing on the Northern Sea Route, north of Russia, might end up. Friðriksson expects private investment money will come, but cautions that, because it is profit-oriented, it may leave at the first sign things are not panning out. The NIB, on the other hand, is willing to wait for as long as 30 years to get its money back. This sort of long-term funding is rare no matter where you are, but it might be necessary to jumpstart investment in the Arctic, suggests Mads Qvist Frederiksen, the head of the Arctic Cluster of Raw Materials, which organized Thursday’s seminar. The answer, public lenders would argue, is neither of the above.